East End Life does serve a purpose and has a role to play, but clearly over the years it has become something it is not meant to be. If the electronic version helps to reduce costs and can reach a broader audience good, but I’m sure we all wait with baited breath. Good post Ted. Ted I nod at most of your posts but love East End Life. It is my guilty pleasure. 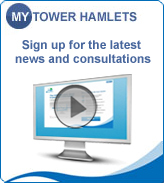 I’m one of those to join the online My Tower Hamlets and so far it is rubbish. The emails turn up once in a blue moon and the content is very thin on the ground. I agree that EEL does provide useful information, but I don’t agree that my taxes should be used to pay for it (and especially for my taxes to be used to pay for accountants and senior managers to fiddle the costs of it). It should be up to the private sector/commercial newspapers to provide that output. If commercial papers are failing to tap into such demand, then they are failing and there is a gap in the market ripe for exploitation. I suspect the market will do its job, given the chance.